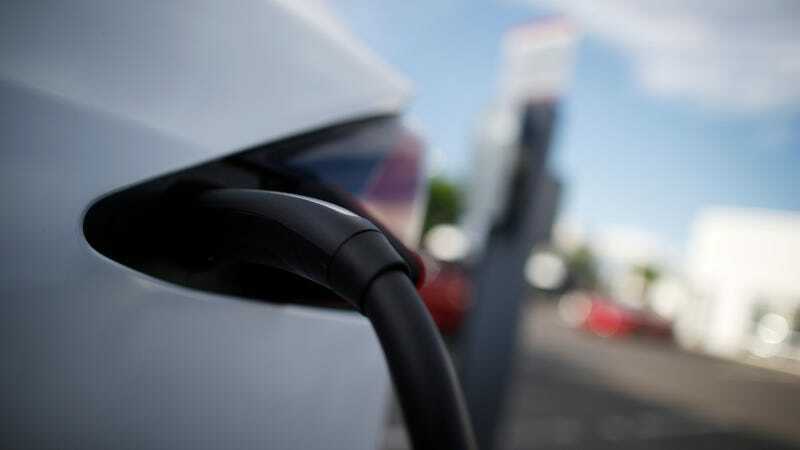 Congress has tussled in recent months over the $7,500 federal tax credit allowed for electric vehicle purchases, while automakers like Tesla and General Motors prepare for the phase-out of the tax credit to begin. At the same time, California is considering an increase to its current state tax subsidy for EVs, from $2,500 to $4,500, reports Bloomberg. A hearing is being held this week by California officials on the proposed idea, which officials reportedly said would help counteract the possibility that Congress don’t lift the cap on the federal $7,500 tax credit. The higher California rebates come as President Donald Trump is arguing that only the federal government can regulate tailpipe emission standards or mandate electric-car sales. Last month, the president also proposed freezing federal fuel economy requirements at 37 miles per gallon in 2020, instead of letting them rise to 47 mpg by 2025 as planned by former President Barack Obama. This would also freeze greenhouse gas limits, but so far, California is refusing to back down. Bloomberg said the state can consider boosting the subsidy because more automakers are buying “credits” to comply with California’s Low Carbon Fuel Standard, Don Sperling, a CARB board member, told Bloomberg. Honestly, it’s smart policy, especially as more automakers are producing all-electric vehicles that can reach a wider swatch of the car buying market. EVs force consumers to make significant changes to their daily habits—where to charge, for example, or deciding whether the extra cost merits making the jump to an all-electric ride—and the tax credits help bring down the overall cost to something more manageable. The meetings in California are ongoing Thursday and Friday.